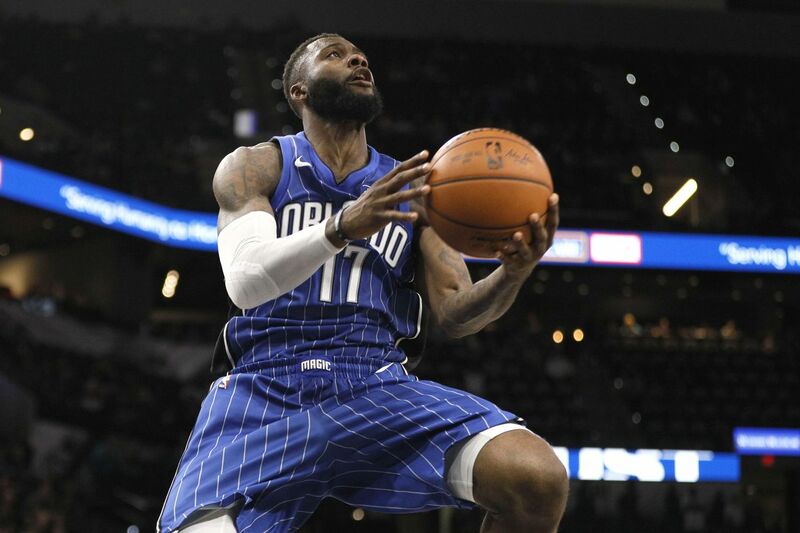 When the Spurs play their first regular season game against the surprisingly upstart Orlando Magic (3-1) tonight, they will come face-to-face with an old friend: Jonathon Simmons. The former Spurs swingman signed with the Magic this summer for a respectable 3-year, $20 mil deal that left many scratching their heads as to why the Spurs let him walk instead of matching a deal that could very well end up being below his market value when all is said and done. There have been rumors and speculation about the semi-unexpected breakup, and the fact that the Spurs tend to keep business in-house didn’t help matters, so little was known about the entire ordeal – until now. Simmons sat down with John Denton for an interview that was published on the Magic’s official website yesterday to discuss a wide range of topics regarding his time with the Spurs, including what he learned, why he left, and his relationship with Gregg Popovich. It answered many questions. It’s understandable that Pop’s disciplined system might squeeze some of the juice out of a player who relies on a frenetic pace and chaos to make things happen, and that goes a long way towards explaining why he thrived once Kawhi Leonard was out against the Warriors. The system was lost, and the Spurs basically had nothing else to lose by letting Simmons run wild in that series, even if he wasn’t very efficient. Still, despite feeling that moving on was best for his career, Simmons has nothing but positive things to say about his time in San Antonio. Pop’s tough-love style of coaching taught him on-court accountability, and he couldn’t have asked for a better mentor on defense than Leonard. And of course, he might not even be in the NBA if it weren’t for the Spurs giving him a chance after he paid $150 for a D-League tryout as a last ditch effort to make a career out of basketball. In then end, this feels like a move that was beneficial for all parties involved. Simmons now has the freedom to play his own “dog” style under Frank Vogel on a young, up-and-coming team where he can leave his own mark. Many of his numbers have already drastically improved, with his playing time up to 24 min per game while averaging 13.3 points off the bench. On the Spurs’ side, they’ve more than made up for his absence despite still missing Leonard. With Simmons gone, Kyle Anderson has finally found a role and is thriving even if he’s nowhere near as exciting to watch. Rudy Gay has been fantastic as a back-up three and is much better suited to play stretch-four. Finally, Brandon Paul is basically a more disciplined version of Simmons and is much more likely to fit into Pop’s system. Best of all, there is no animosity between the two sides. There was no nasty break-up and no Robert Horry-style barking to the media with needless jabs at one of the most respected franchises in all sports. Perhaps most importantly, there’s no longer any reason to worry that PATFO might finally be losing their heads. Good luck, Jonathon! Spurs fans everywhere are rooting for you.